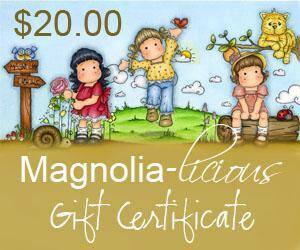 Welcome to my blog and the new challenge from Magnolia-licious Challenge Flowers or Photo Inspiration. You can choose to do either and the photo inspiration is gorgeous! 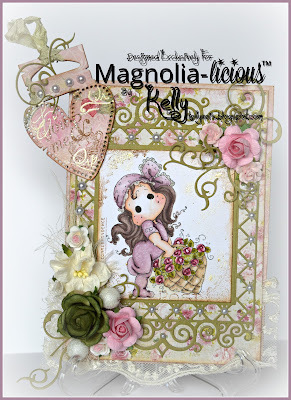 I chose floral and used Tilda with Rose Basket, from Pink Lemonade collection. She is not in stock now but ask Diana and she can order her for you. I colored her in distressed inks and added Frontage to the edges. 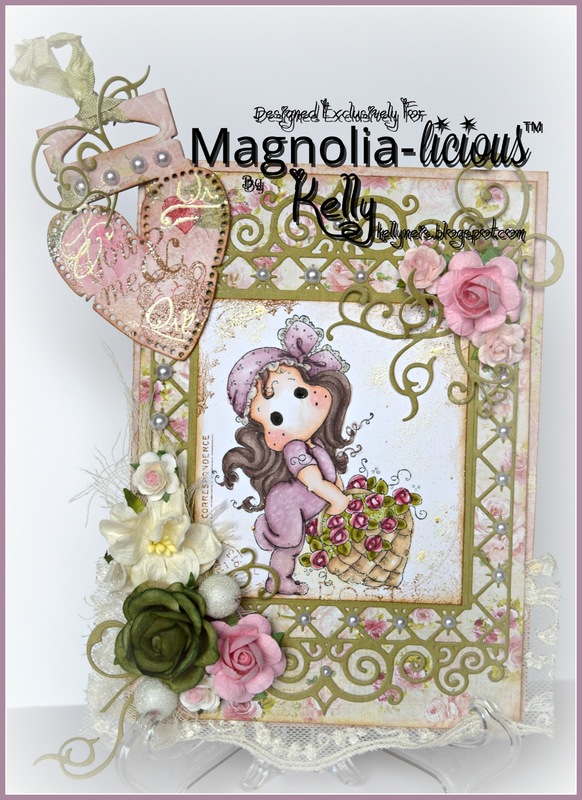 My frame is from Spellbinders and embellished with flowers and a few dies. Beautiful, K! What a wonderful assortment of gorgeous dies!